“Design is a connection between things. It is not water, or a chicken or the tree. It is how the water, the chicken and the tree are connected. It's the opposite of what we are taught in school. The australians Mollison and Holmgren* gave the name and a very practical shape to these ideals, creating a design language that facilitated its rapid adoption in the whole world. As a science it is based in observation and experimentation, including from all other fields of human endeavour: there are no dogmas, all has to be checked out with experience. After figuring out that the basic principles, models and design techniques worked very well (by helping put into motion many farms, organisations and businesses), the founders started to teach others how to create sustainable systems, publishing various books although primarily through demonstration and orally, encouraging their students to do the same. 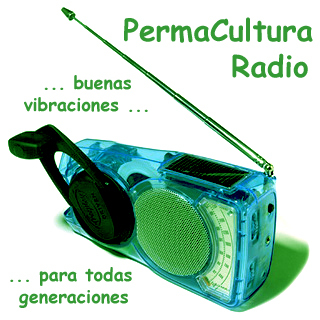 Permaculture is also a great and dynamic movement, diverse and extensive. As well as international conferences there are regional meetings on five continents, from 1985. ... is to create it". how to take the ideals of Local Agenda 21 & Sustainable Development (Economic, Social & Ecological) to practice. is a wide & varied worldwide network of people, groups, associations, companies & projects of all kinds that share clear ethics & principles, with a set of tested traditions & methodologies, that we also keep developing collectively. "the way is clear; the path is open; don't wait for orders!" All you have that you own is your life, and your work. Both are worthy gifts to those less well informed. We have the debt of privilege, and it will never be paid. El objetivo es crear sistemas que sean ecológicamente sostenibles, económicamente viables, que satisfagan las necesidades, no exploten o contaminen y que sean autosuficientes a largo plazo. The goal is creating systems that are ecologically sustainable, economically viable, that fulfill needs, don't exploit or pollute, and that are self-sufficient in the long term. La Permacultura trata con plantas, animales, construcciones, infraestructuras (agua, energía, comunicaciones), pero no solo como elementos en sí mismos, sino como se relacionan entre ellos. Permaculture deals with plants, animals, buildings, infrastructures (water, energy, communications) but not only as elements on their own, but how they interrelate. La base es la observación de ecosistemas naturales, junto con la sabiduría ancestral de los pueblos primitivos y el conocimiento científico. The basis is the observation of natural ecosystems, together with the ancient wisdom of primitive people & scientific knowledge. Se trata de utilizar las cualidades inherentes de las plantas y los animales (incluso humanos) combinadas con las características naturales del paisaje y las estructuras para producir un sistema que soporte la vida en la ciudad y en el campo, utilizando la menor área posible. Se trata de trabajar con la Naturaleza y no contra ella. It's about using the inherent qualities of plants & animals (even humans) combined with the natural characteristics of the landscape & the structures to produce a system that supports life in cities & the country, using the least possible area. It's about working with Nature & not against her. El exceso o desecho producido por plantas, animales y actividades humanas es utilizado para beneficiar otras partes del sistema. Permaculture makes the most of all resources, and gets together as many functions as possible in each element of the landscape & as many elements as possible in each vertical & horizontal space. The implementation of a Permaculture design requires flexibility & an appropriate sequence so that changes can be made as observation & experience require. Creating a Permaculture environment is a long & gradual process, where techniques & principles from ecology, appropriate technology, sustainable agriculture & the wisdom of primordial communities are used, although essentially it's mainly based on the direct observation of nature in that place. Dos diseños en Permacultura o cursos de entrenamiento no pueden ser iguales. Desde 1981, miles de personas han participado en talleres de Permacultura, seminarios y cursos de diseño. Two Permaculture designs or training courses can't be the same. From 1981, thousands of people have participated in Permaculture workshops, seminars & design courses. El trabajo de los graduados de esta indefinida red global le ha dado alas y ha acrecentado la comprensión y apreciación de los patrones de la naturaleza y ha generado modelos para una vida sustentable que incluya máxima productividad con mínima tarea. The work of the graduates of this undefined global network has given wings to, and increased, the understanding & appreciation of nature's patterns and has generated models for a sustainable life that includes maximum productivity with minimum work. Permaculture could be literally defined as "permanent culture". The concept was developed in the seventies by two Australians, David Holmgren & Bill Mollison. Consiste en el diseño y mantenimiento de pequeños ecosistemas productivos, junto con la integración armónica del entorno, las personas y sus viviendas, proporcionando respuestas a sus necesidades de una manera sostenible. It consists on the design & maintenance of small productive ecosystems, together with the harmonic integration of the environment, people & their dwellings, providing answers for their needs in a sustainable way. El principio básico de la Permacultura es el de trabajar "con", o "a favor de", y no "contra" la naturaleza. Permaculture's basic principle is working "with" or "in favour of", and not "against", nature. Los sistemas permaculturales son construidos para durar tanto como sea posible, con un mínimo de mantenimiento. Permaculture systems are built to last as much as possible, with minimum maintenance. Los sistemas son típicamente energizados por el sol, el viento y/o el agua, produciendo lo suficiente para su propia necesidad, como para la de los humanos que lo crean o controlan. These systems are usually energized by the sun, wind and/or water, providing enough for its own needs, and those of the humans that create & control it. De esta manera, el sistema es sostenible. In this way, the system is sustainable. A lo largo de los décadas (la permacultura 'nació' en el 1974 como movimiento ciudadano), nos hemos ido dando cuenta que aún que podemos diseñar y actualizar para hacer cualquier entorno (pequeño o grande que sea) más sostenible (o 'permacultural'), eventualmente nada puede ser sostenible si la sociedad en la cual estamos inmersos no lo es. Through the decades (permaculture was "born" in 1974 as a citizen's movement), we've been realizing that although we can design & update to make any environment (be it small or big) more sustainable (or "permacultural"), eventually nothing can be sustainable if the society we're immersed in isn't. Por lo tanto, la permacultura en su conjunto tiene que tratar de ese cambio. Therefore, permaculture as a whole has to be about that change. La definición de Permacultura es que es muy flexible, porque abarca tantas áreas y tenemos a tantas formas diferentes de entender las cosas. The definition of Permaculture is very flexible because it comprises so many areas and we have so many different ways of understanding things. "Permaculture is about the design of sustainable human settlements. In its philosophy, it's about making intensive use of the earth, microclimates, annual & perennial plants, soil, water management and human needs in a close connection." "It's a productive design system based in the maximum relationship between all the elements of the system to solve our immediate needs and protect the resources for the future generations." "Permaculture is revolution disguised as organic gardening." "Truth will set us free, but it will first make us diabolically angry..."
based on natural patterns & ecology. "Permaculture is a design science, and as other design schools that look for inspiration in aesthetics and beauty patterns, permaculture is inspired in the efficiency patterns verified in natural systems. It's the conscious design of productive ecosystems, that possess the diversity, stability and resiliency of natural ecosystems". "Science must always be experimental. The most brilliant idea can be wrong." "History is full of societies that overexploited their resources and became extinct. We're rapidly approaching that situation. However, thanks to a rational design, we can create the necessary systems to live correctly, without causing destruction or contamination. Permaculture is the most coherent method conceived so far"
"Permaculture is a design system for the creation of sustainable human environments". for the creation of sustainable human environments"
"Permaculture is a holistic approach to landscape design and human culture. It is an attempt to integrate several disciplines, including biology, ecology, geography, agriculture, architecture, appropriate technology, gardening and community building.". "Permaculture is a way of life which shows us how to make the most of our resources by minimizing waste and maximizing potential. Living ecologically doesn't mean giving everything up, but relearning the value of nature & understanding new ways of being wealthy...Conscious design of a lifestyle which is highly productive and does not cause environmental damage.....Meeting our basic needs & still leaving the earth richer than we found it.". "“Permaculture” is a term used to describe the application of ecosystem design principles to design sustainable human habitation, including supply of water, food, energy, shelter, income, aesthetics, community & other needs, & amenities. Permaculture stresses careful observation & integration into natural design for each place as an alternative both to the drudgery of continually laboring & to excessive reliance on complex technologies, which are inherently unstable". "Permaculture is the harmonious integration of people into the landscape in such a way that the land grows in richness & aesthetic beauty.". & harmony in the physical plane". "Permaculture is a design system that works toward establishing productive environments - providing for food, shelter, energy, waste recycling, material & non-material need - as well as the social & economic infrastructures that support them. It aims to create systems that will sustain the present as well as future generations.". "Permaculture integrates people into Nature's design. A permaculture design provides us with shelter, food, water, income, community and aesthetic and spiritual fulfillment within a balanced and healthy biological community." "Permaculture, or permanent (agri)culture, means working with natural forces - wind, sun, & water - to provide food, shelter, water & other needs with minimum labor & without depleting the land. Permaculture is a holistic approach based on traditional agricultural practices." "Patterned after the natural & diverse systems of nature, PERMACULTURE is a design science that weaves together our individual human needs with the microclimates, plants, animals, micro-organisms, water & soil management, thus allowing us as individuals to take responsibility for our life-styles & design our way out of unsustainable cultural patterns while meeting the realities of the 20th Century.". "Permaculture is the conscious design of 'cultivated' ecosystems that have the diversity, stability, and resilience of natural ecosystems. It is a harmonious integration of people into the landscape in such a way that the land grows in richness, productivity and aesthetic beauty.". "Permaculture (PERMAnent agriCULTURE or PERMAnent CULTURE) is a sustainable design system stressing the harmonious interrelationship of humans, plants, animals and the Earth." "Permaculture is an approach to agriculture & human settlement which seeks a harmonious balance among all forms of life in an ecosystem". "Permaculture is about self-reliance, growing food, & building creative, beautiful, energy-efficient structures from local materials." "Permaculture is a holistic way of living on the earth; its core foundation is people working with rather than against nature. It's applicable to all aspects of human living, in one's home and garden, schools, businesses, community spaces, cities and countryside." that rubble-filled back yard as a food garden, your local community as a sustainable settlement, yourself as part of the hugely complex web of nature and the natural patterns which form the world around you". The Integral PermaCulture Academy is unique in the world in teaching the most advanced & comprehensive Permaculture courses you can find, which have been developed over decades of experience in teaching permaculture in different settings & countries, by many activists. We do this with action-learning (design portfolio-based, non-academic) methods, an evolutionary Integral Permaculture curriculum which adds from many other disciplines & in two languages, English & Spanish. It is essential to include all levels because we need to create healthy communities, local economies, new cultures & effective organizations as much as we need to re-instate healthy ecosystems, create organic gardens & rational technologies. Integral Permaculture fully acknowledges that we cannot ultimately succeed in re-designing any EarthCare without re-designing the PeopleCare side of the whole system, at any scale.